So, Dia de los Muertos is coming up and you need an outfit. Something that says, "I'm dead, but I still like to have a good time at a party," should fit the ticket really nicely. 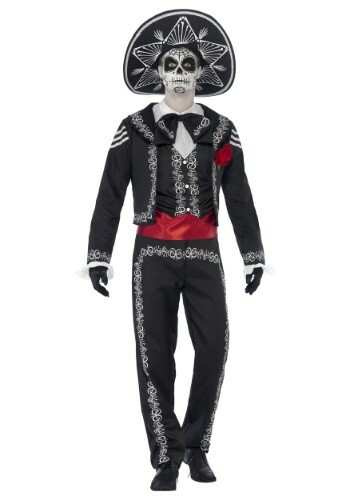 That's exactly what this Day of the Dead Senor Bones Costume says (Figuratively, that is. There are no sound effects included with this outfit)! It has a Mexican flavor mixed with an undead charm that will have you ready to celebrate the holiday in style.